At one time even the number of scarves was in doubt, but it has been confirmed that a total of eight were awarded, four to British servicemen. 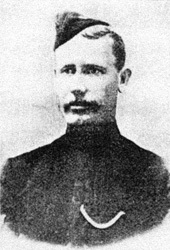 Quartermaster Sergeant Henry George Clay, DCM, 2nd Bn The East Surrey Regiment. Colour Sergeant William Colclough, 2ndBn, The Devonshire Regiment. Colour Sergeant Thomas Ferrett, DCM, 2ndBn The Queen's (Royal West Surrey) Regiment. Colour Sergeant Frank Kingsley, DCM, 2nd Bn The West Yorkshire Regiment. 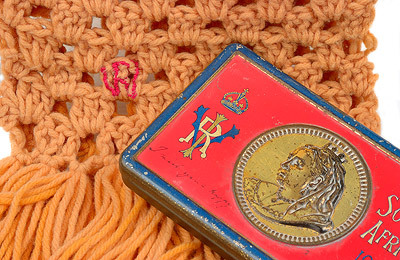 Questions have been raised as to whether Queen Victoria had crocheted the scarves herself but it was reported that, during the presentation of the scarf to Dufrayer (a Colonel recipient) in Australia by HRH The Duke of York (later King George V), the Duchess of York (later Queen Mary) had informed one recipient that she had helped the eighty-two year old Queen when she had dropped stitches whilst making the scarves. 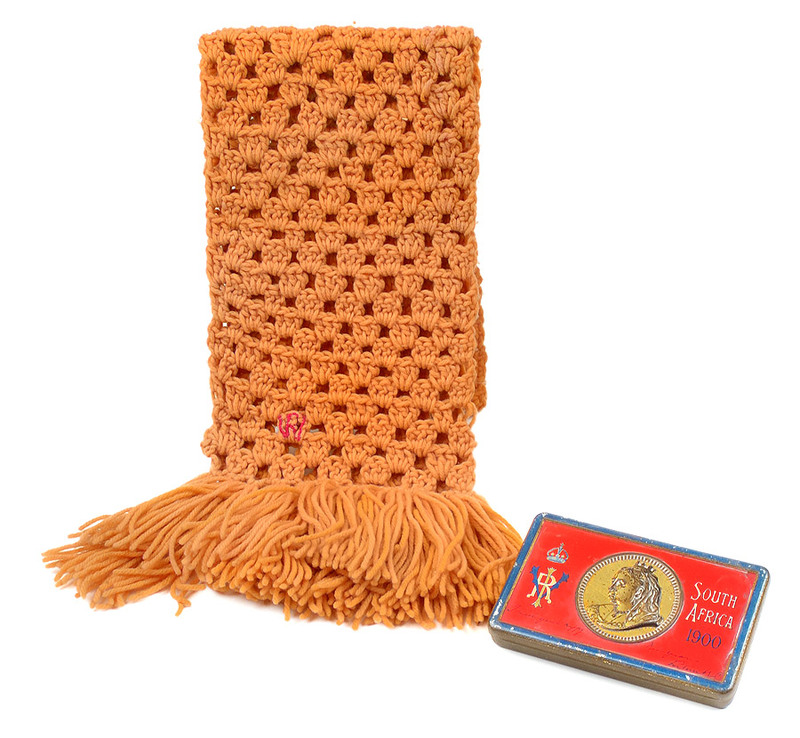 There has been much speculation as to the exact degree of honour that the award of the scarf carried. It was at one time believed to be equivalent to the Victoria Cross but this is not the case. During 1902 the New Zealand Government requested that the title 'Queen's Scarf' be used in the Army List and other official documents but, in a reply dated 4 June 1902, the Secretary of State refused to grant permission. The question of precedence has continued over the years and, even as late as 1956, it was raised again, when a descendent of one of the holders reqested permission to attend the VC Centenary Celebrations. The official reply stated '...while the Queen's Scarf is regarded as a unique and most distinguished award, relatives of those who received it are not being included in the present ceremony as it does not carry equal status with the Victoria Cross....'. "The Best All Round Men In The Army." Colour-Sergent Ferrett of The Queen's Royal West Surrey Regiment, was the recipient of one of four scarves made and presented by Queen Victoria to "to the best all-round men taking part in the South African campaign." He sent to his wife in England the scarf, which was crocheted in karki-coloured Berlin wool, with the initials "V.R.I." on one of the little knots of one of the little knots of wool. Colour-Sergent Ferrett took part in the battle of Colenso, and was with General Hildyard, under General Buller, throughout the campaign.